A little over two years ago, I posted 5 Ways to Fake Built In Shelving. 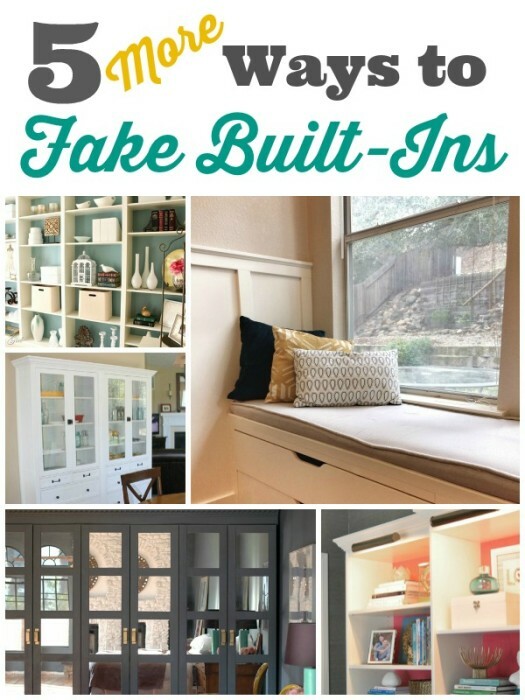 Evidently, there are a lot of people out there who are looking for ways to get the look of custom built-ins without the expense of hiring a carpenter. And in the two years since I hit the publish button on that post, I’ve seen even more great examples of how people are using inexpensive shelving units to make gorgeous faux built ins. So here’s the sequel, folks: 5 MORE Ways to Fake Built In Shelving. Having a dedicated place to sit down and work, write, chat on the phone, or make lists is a luxury not all of us enjoy in our homes. 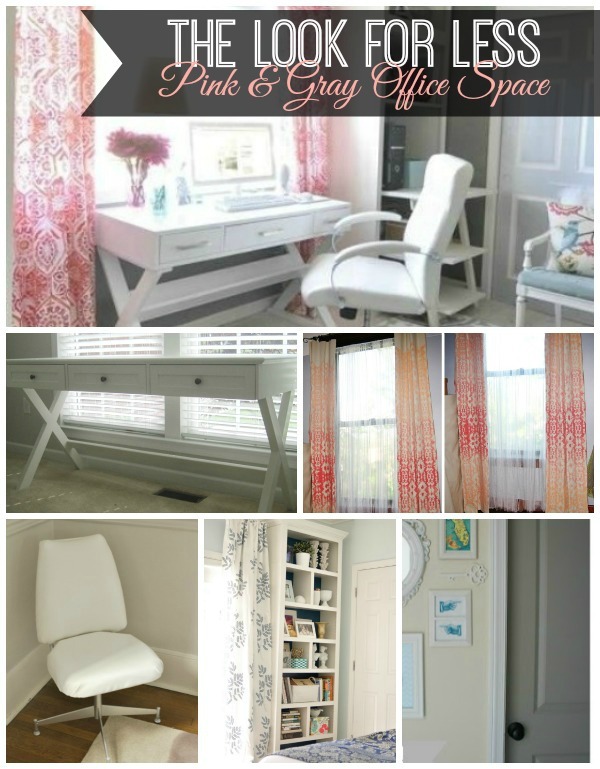 It’s called an office space, and those of us who have a dedicated room for one need to count our blessings! Surprisingly enough, you don’t have to go to a designer showroom to get furniture like what’s pictured in the room above. There are ways to get that look for less, and I’m about to show you five.